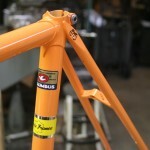 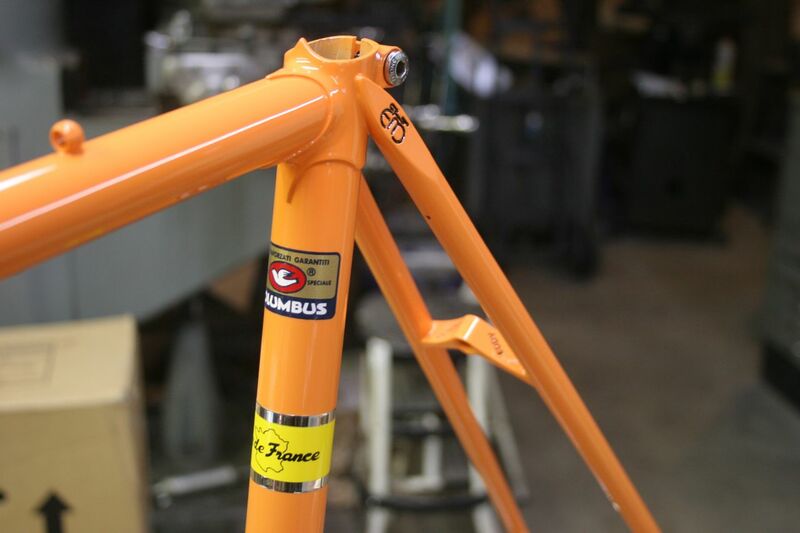 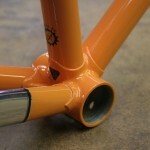 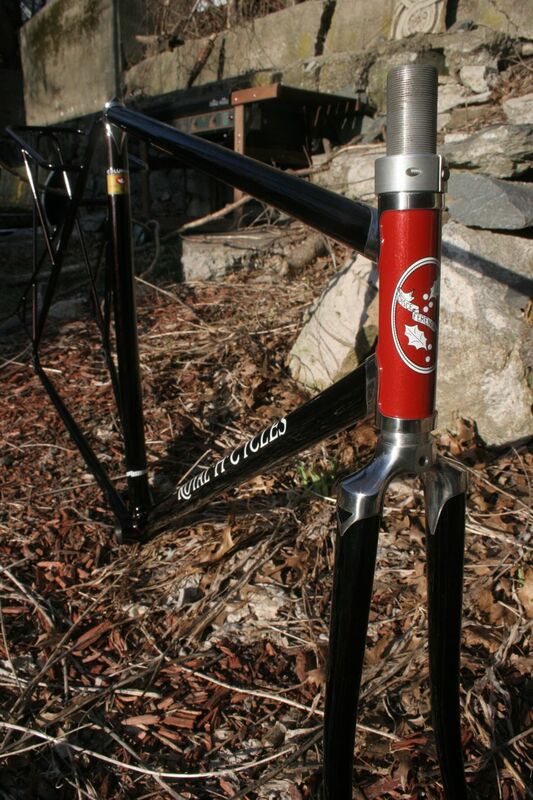 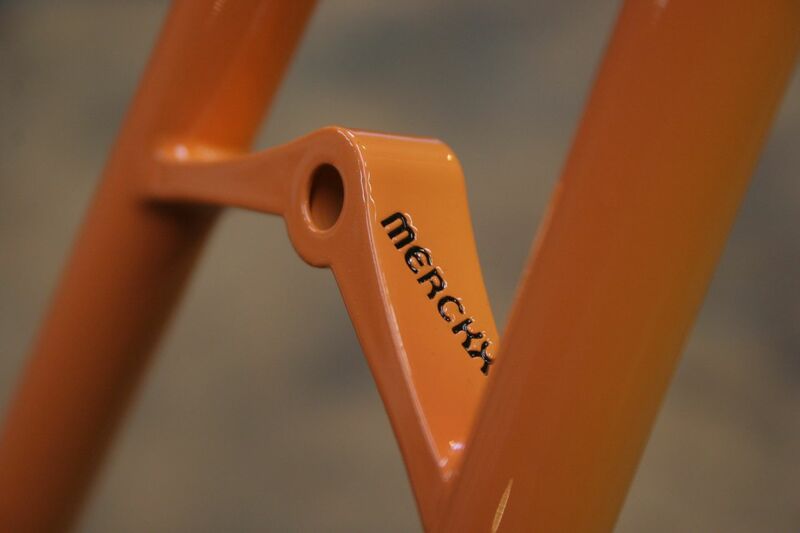 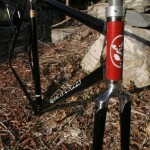 Merckx repaint and a lot more…really. 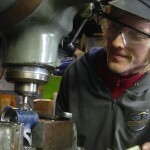 My blog might indicate that there’s not a whole lot happening at the shop but that’s definitely not the case. 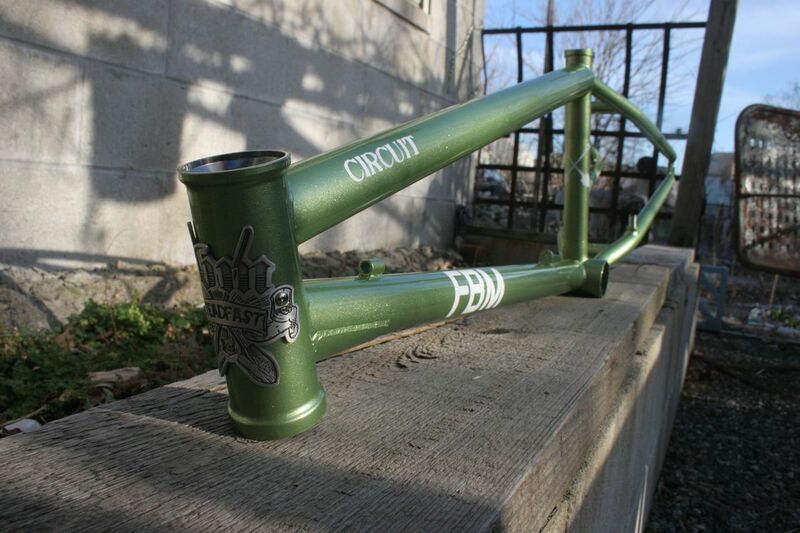 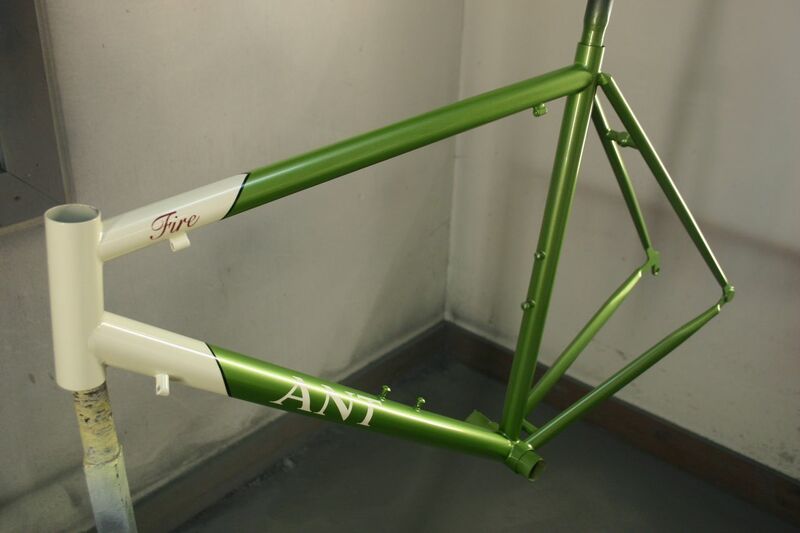 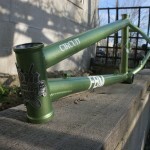 I just finished four frames and forks and many paint jobs. 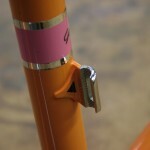 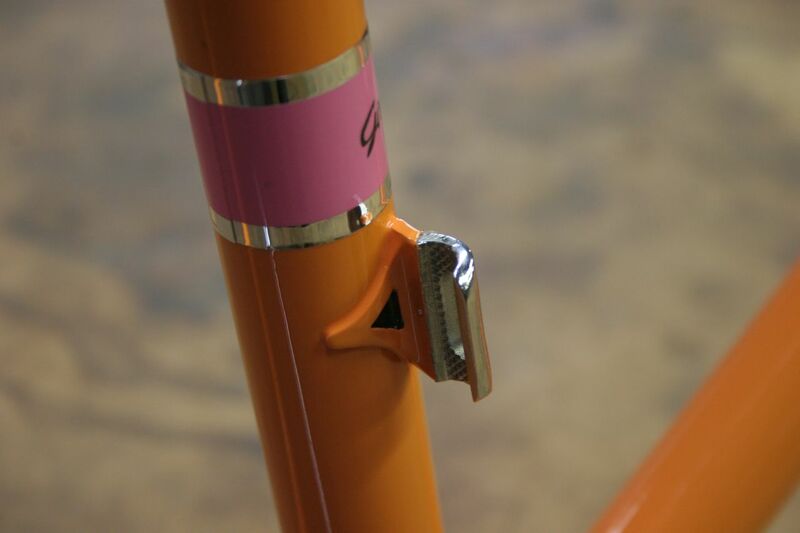 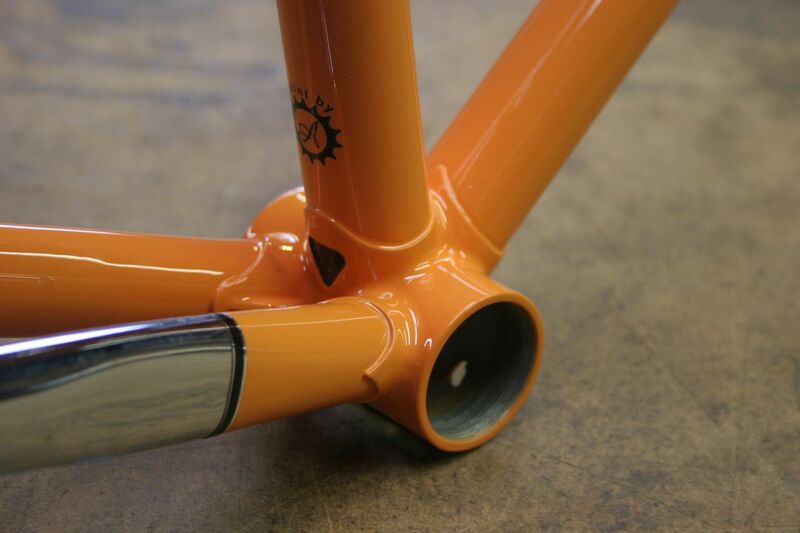 The most recent ones are this gorgeous Molteni Merckx which has been brought back to its original luster. 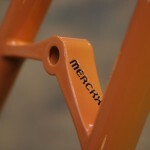 Other paint work has been for various local (and not so local) builders. 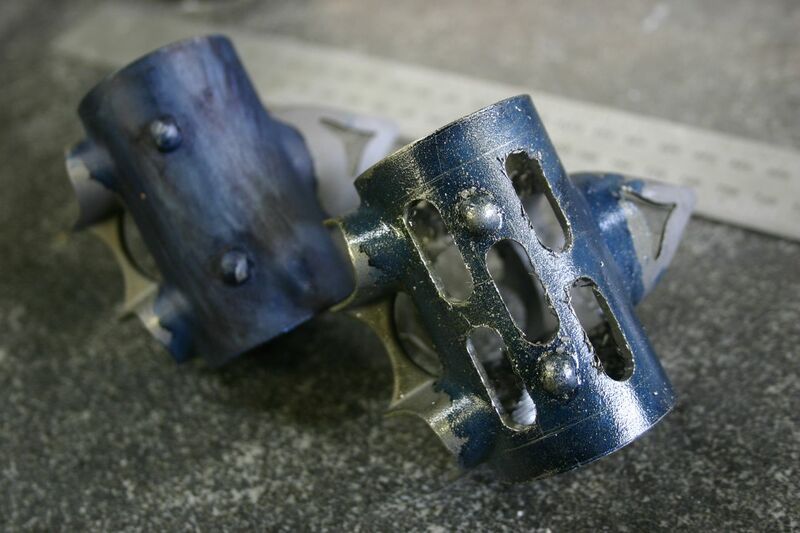 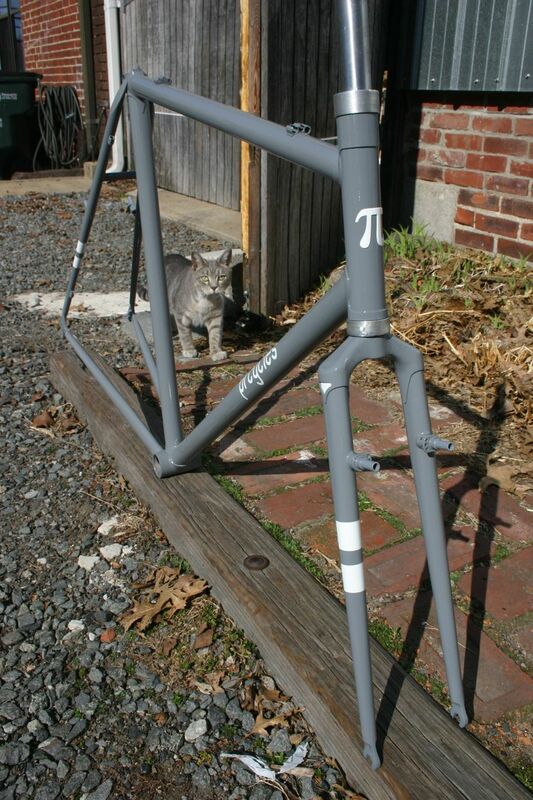 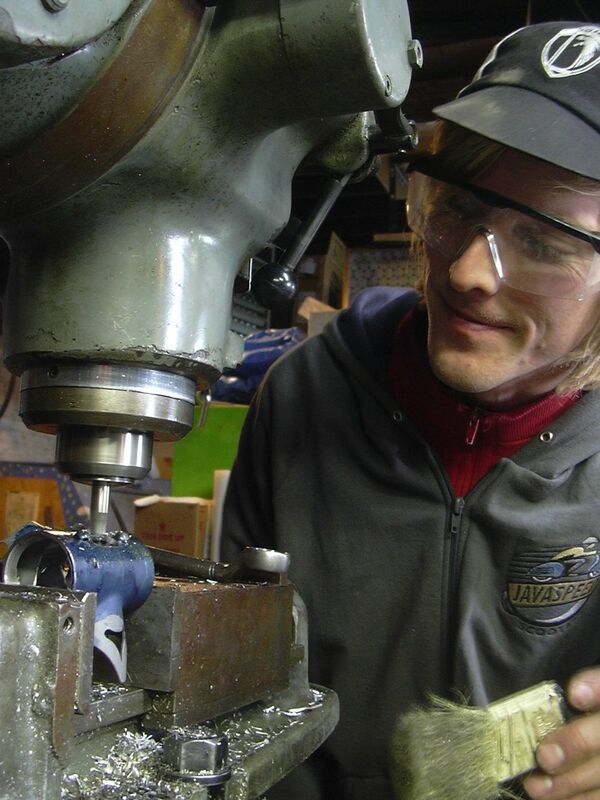 And when I’m not in the paint booth, I am building bikes. 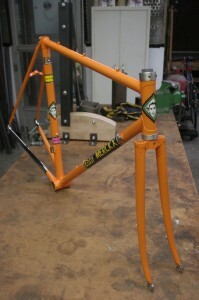 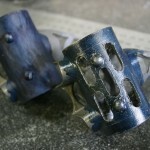 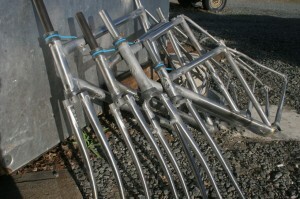 I’m finishing up a front rack for Isaac’s single speed and then it’s back in the booth for these four. 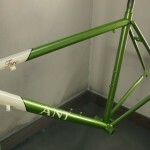 I promise I’ll post more updates soon! 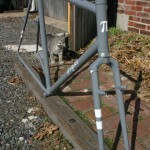 Posted on March 21, 2010 March 21, 2010 Categories Bike Building, Bike Painting1 Comment on Merckx repaint and a lot more…really.